Wairau River (pronounced why-ra-ow) produces wines exclusively sourced from our family estate vineyards first established in 1978 by Phil & Chris Rose. Hand tended in small batches from vine to bottle, low crops and ultra ripe fruit are utilised to produce premium wine that has become renowned for exhibiting intense fruit characteristics and classical elegance. With five estate vineyards of around 500 acres, Wairau River Wines can maintain total commitment to quality by carefully managing these sites to keep yields low and quality high. 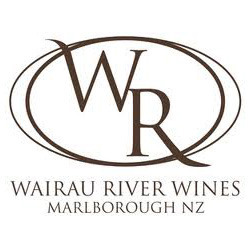 Wairau River is one of the largest independent wine estates in Marlborough, and the range of elegant wines is characteristically expressive of its Marlborough roots.